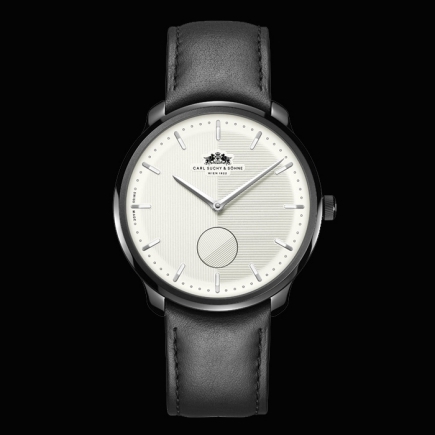 Carl Suchy & Söhne | 7'850 € Tax inc. 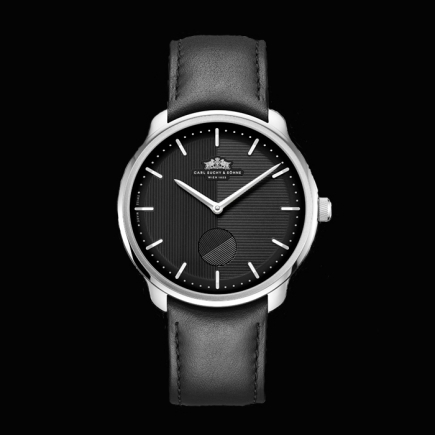 In the art nouveau-dominated Vienna of the early 20st century, Austrian architect Adolf Loos was amongst the first ones to reject ornamentation and give priority to proportions and volumes. 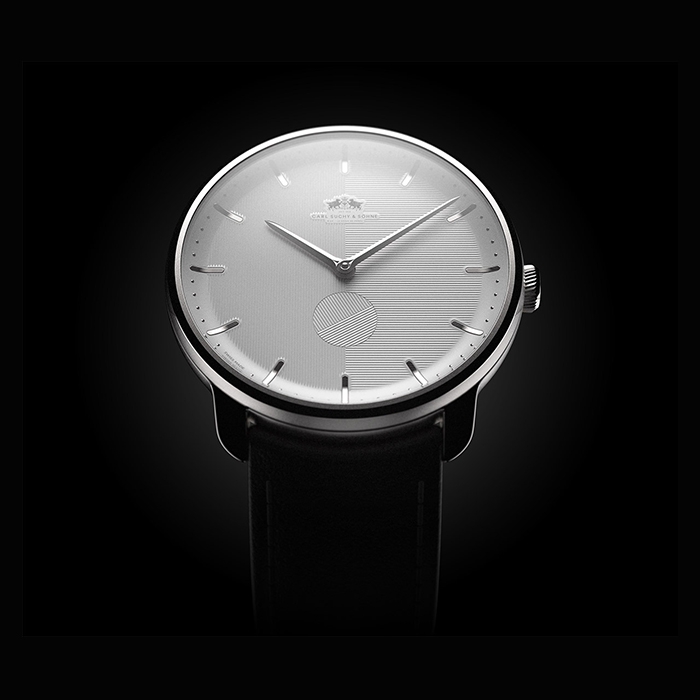 He is considered one of the precursors of modern architecture and his writings were published in Le Corbusier’s journal L’Esprit Nouveau, who appreciated his «clear and original» spirit. 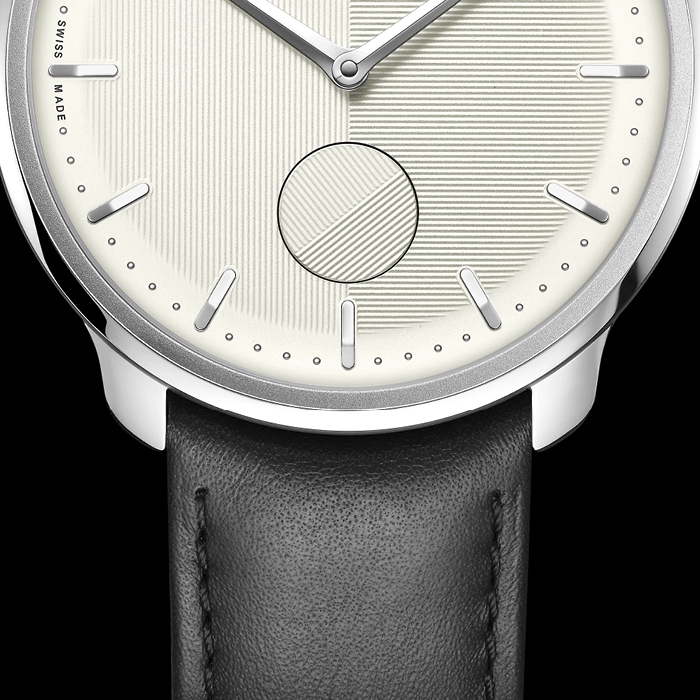 To draw the pure lines and classic dial of the Waltz N°1, as well as its subtle guillochage, CEO Robert Punkenhofer and designer Miloš Ristin were inspired by the avant-garde and minimalist style of Adolf Loos. 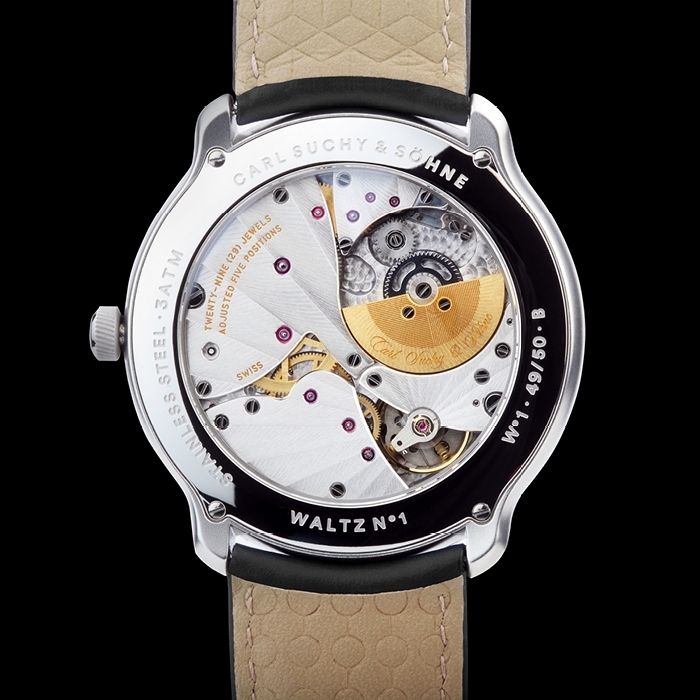 The Waltz N ° 1 is equipped with the ultra-thin automatic movement VMF 5401 (Swiss Made) designed and produced by Vaucher Manufacture Fleurier. 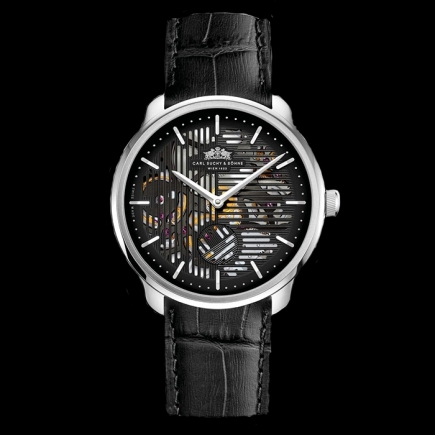 It has been modified by Zurich-based watchmaker Marc Jenni – an advocate of sober aesthetics and former member of the Académie Horlogère des Créateurs Indépendants (AHCI) – to add a rotating second disc at 6 o‘clock with a striped guilloche-pattern that aligns with that of the dial once a minute. 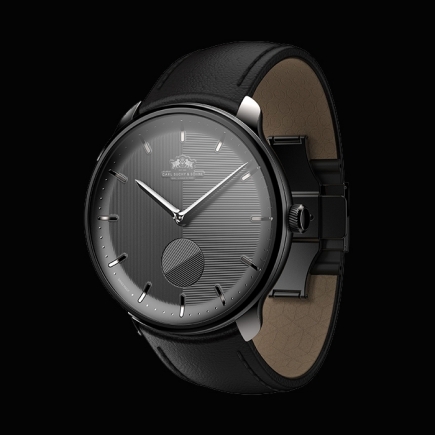 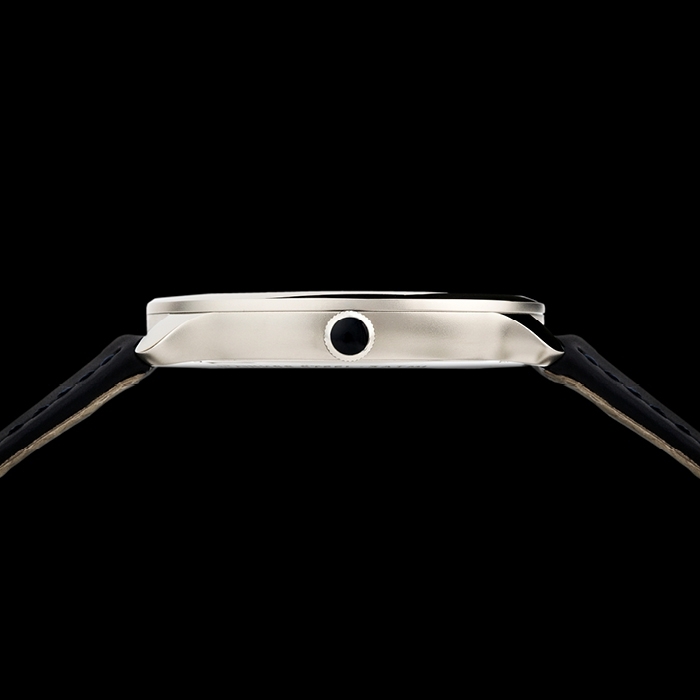 · 41.5 mm polished steel case (black version: ADLC) with 9.3 mm height. 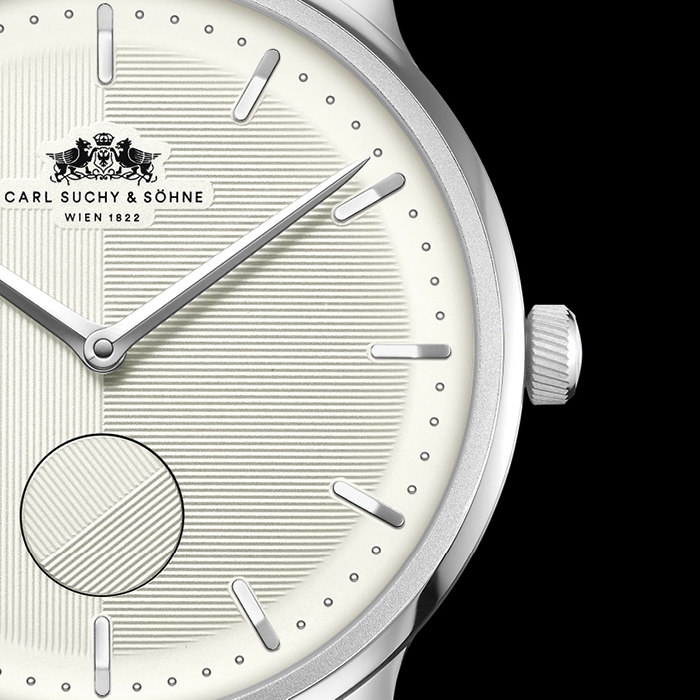 · Adjustable double-sided folding clasp with mechanical safety pressure lock and „Carl Suchy & Söhne“ logo.